Are you looking for ways to drive more traffic to your location? Adopting a frozen program can help you provide drink variety that will attract new customers. 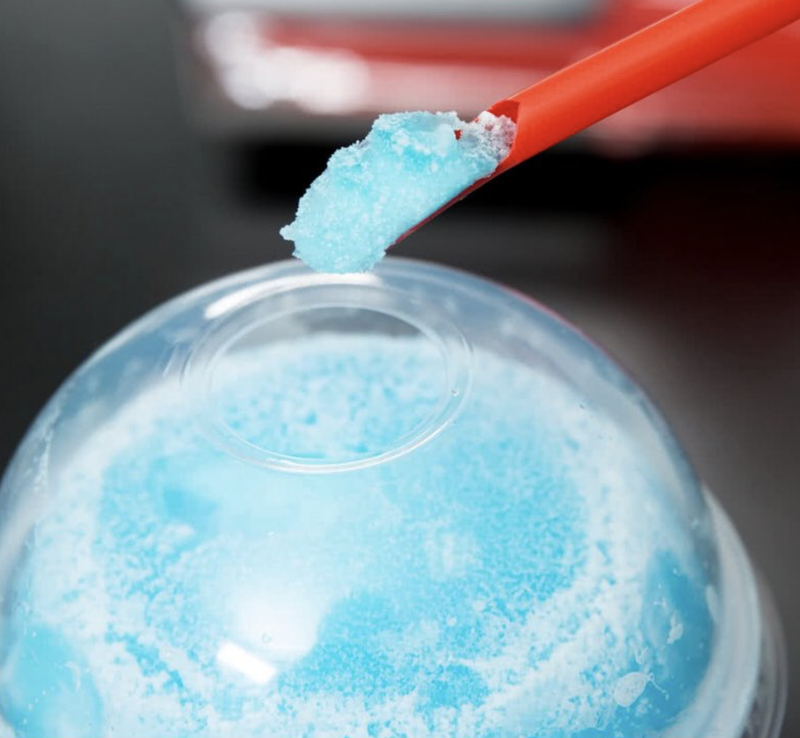 Whether at a fast casual restaurant or a convenience store, a frozen drink machine gives an opportunity to continue to thrive and evolve to fit customers’ needs and preferences. Here are 8 different products that you can pour from a FBD dispenser that will help increase customer delight. Smoothies and Shakes: Offer a gourmet frozen experience combining natural-based ingredients and endless topping choices. In 5 years alone, smoothie consumption has increased 120%. Millennials (age 18-39) make up 50% of the consumer base, consuming more smoothies, frozen blended coffees and milkshakes than any other age demographic. The smoothie and shake frozen drink dispensers can serve all age demographics. You can attract the health-conscious consumers with natural ingredient based smoothies, or indulge the 18-39 age group looking for a snack alternative with a good old-fashioned chocolate milkshake. Frozen Carbonated Drinks: A frozen carbonated beverage program brings you up to 70% gross profit. Frozen carbonated beverages are highly profitable, given that 50% of a poured drink is CO₂ (air) & 40% is water. The margins are up to double that of canned beverages and potentially 20% higher than fountain drinks. In comparison to fountain drinks, frozen carbonated beverages benefit from selling at higher price points and less promotional expenses, especially during the summer! Slush and Granita: Offer an appealing array of colors and flavors and a refreshing, slushy texture; these frozen beverages are a crowd favorite, especially among kids and teens. Their low cost makes them a great value to stores due to the minimal training requirements and easy maintenance. Slush and granita frozen drink machines are ideal for locations with few employees or high employee turnover. Frozen Yogurt and Soft Serve: Similar to traditional ice cream, frozen yogurt and soft-serve are now available in many different forms. Soft serve is a frozen treat that comes from a machine that results in a smoother texture. The machine incorporates more air and doesn’t allow the mixture to harden. In contrast to ice cream, frozen yogurt is made with yogurt, also called cultured milk, instead of cream. There are three types of yogurt: regular, lowfat and nonfat. Frozen Cocktails: Cocktails can also be served as blended ice slush. In large establishments that need to serve large quantities in a short period of time, an impeller typically keeps mix churning in a below freezing temperature so it can’t’ freeze solid, until it dispenses as a thick half- frozen slush. 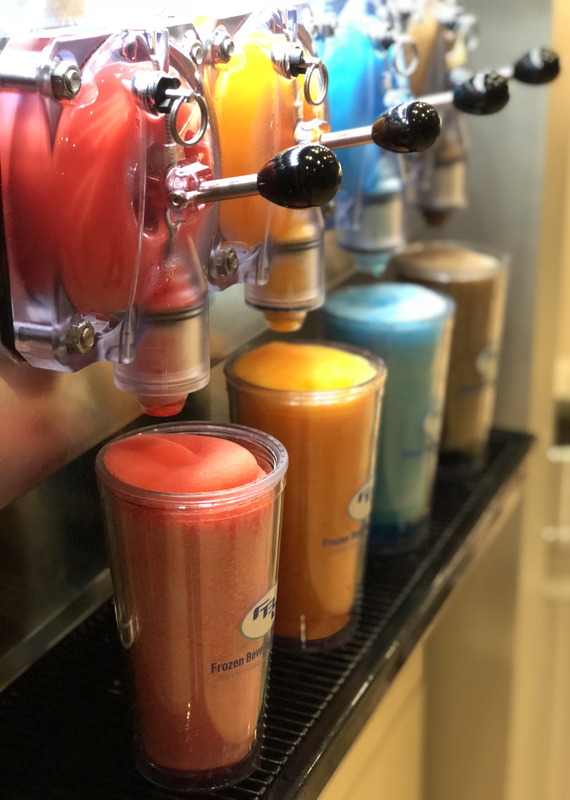 Slushy drinks are popular year round allowing you the opportunity to add more profit to your bottom line while adding versatility to your drink menu. Frozen Coffee: Frozen coffee can be served in various ways. Quickly making its way into the mainstream, nitro coffee is cold brew coffee infused with nitrogren gas This coffee drinking innovation has a foamy rather than bubbly character often enriched with sweet cream or vanilla syrup. Many shops and restaurants market nitro cold brew using its visual appeal. The dispensed product rises as it is poured because the nitrogen bubbles are so small that they are easily pushed around the glass by the flowing liquid. Frozen Lemonade: Another perfect way to beat the heat is with refreshing frozen lemonade. This cool drink tastes like it was squeezed to perfection. This product has very high profit margins because it is a very inexpensive product to sell. A frozen lemonade machine will allow for a constant refilling, cooling, and mixing of the product for consistency in each pour. Multi-Flavor Drinks: Multi-flavor frozen drinks machines give consumers different drink combinations while maintaining a small footprint for your location. The FBD 561 Multi- Flavor machine uses 1 base flavor with up to 4 additions in a single barrel to create 16 possible flavor combinations. Multi-flavor technology offers the consumer the freedom to explore, pour, making it consistent every time and enjoy their perfect costumed drink. During your decision making process you have to select which frozen treat is best for your operation from among the many options available. You have to choose what best suits your goals considering profitability, waste reduction and lower labor to name a few. 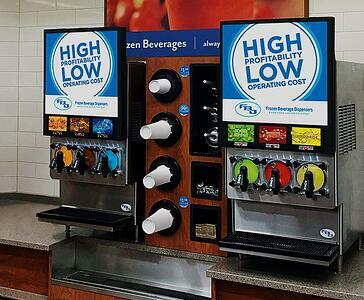 There are numerous benefits for starting a commercial frozen drink machine program. 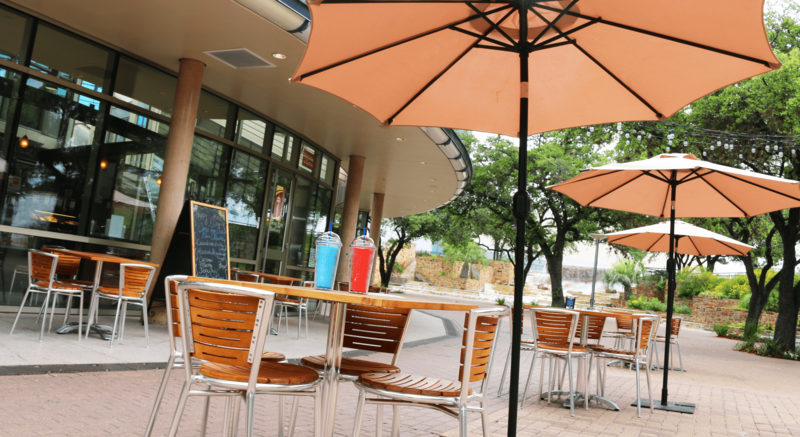 Profits and increased foot traffic are two great reasons to consider expanding the frozen options at your location.